Vivaldi published nine collections of concertos between 1711 and 1729. L‘estro armonico was the first of them and, globally speaking, the most influential, especially in Northern Europe. Bach had probably seen most if not all of the set while he was at Weimar transcribing three of these concertos for solo harpsichord and two for solo organ in about 1713 and another, much later, for four harpsichords and strings. 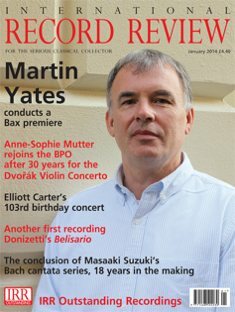 All but one of those favoured by Bach are included here. 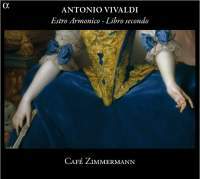 Café Zimmermann has recorded the six works from the second book of L’estro armonico containing Concertos Nos. 7- 12. In addition there is a Concerto in F major for violin and cello, RV544 and a Cello Concerto in G major, RV414. Three epithets which characterize the music in L’estro armonico are those of experimentation, virtuosity and variety. The six concertos featured here embrace scoring for solo violin, two violins, two violins and cello, and four violins. Earlier styles are sometimes invoked — the Corellian concluding movement of Concerto No. 7, RV567 provides one such example — but the prevailing impression is one of exploration and the quest for a new expressive vocabulary. While Café Zimmermann under its dynamic director and solo violinist Pablo Valetti is strong on virtuosity it sometimes strikes my ears as being less susceptible to the bountiful poetry in Vivaldi’s music. The Larghetto of Concerto No. 9, RV230, notwithstanding dynamic variety and pleasing embellishment, comes over as a little rigid and rhythmically unyielding. The absence of lyricism is most apparent in the finale of the Eighth Concerto of the set, in A minor, where Vivaldi writes magically for the two solo violins in a passage (bars 225-51) where the second solo violin sustains a cantabile against the accompanying arpeggiated figures of the first solo violin. In this performance there is a misplaced urgency which greatly underplays the music’s innate poetic charm. From almost every other aspect Café Zimmermann’s account of these unfailingly fascinating pieces is splendid. Phrases are uttered with engaging inflections and are effectively punctuated. For the most part there is a communicative dialogue among the protagonists and they are supported internally and by the continuo with complementary gestures. Apart from one or two instances the playing is rhythmically supple if on occasion a little hard-pressed. I have complained over details, but the composite picture is so full of life, so transparent in texture and so cohesive in ensemble that I know I shall be listening to these performances many times over. The two interloping concertos come off with aplomb, with cellist Petr Skalka bestowing an affecting tenderness upon the notably expressive Largo of the Cello Concerto. In short there is far more to admire than to censure in these readings. Is it the intention of this group to complete L’estro armonico with Concertos Nos. 1-6 ? I have not the faintest idea but let us hope so.